Although sun rays have a lot of uses, there are also disadvantages to them. Sun rays can warm the insides of our house up to a point of discomfort; fade color out of almost every material it touches; produces glare that makes it difficult to move on some areas of the house. Sometimes it is best to let sun rays in other areas and block it out on some. Be it on our house or our car, the best way to block sun rays and the harmful rays it contains (such as UV rays), including the thermal energy it has, is a window tint film. In this article, we are going to review the best window tint film that will allow you control over how much light to let in your place. It will also give you access to benefits such as reduction to heat and glare, heat insulation, privacy and UV filtration, among others. In selecting the best window tint for this review, we considered a number of factors such as durability, ease of installation, price and visible light transmission (VLT). Our editor’s pick, the Black Magic, is available in two versions: the 20% VLT and the 5% VLT. It installs easily to any glass surface, either in the home or in the car, by static cling lone without the need for an additional adhesive. The advantage of an adhesive-free tint film is that you can easily remove or replace it anytime. In addition, static cling is sufficient in holding it in place and can only be removed by deliberate peeling. A word of caution, however: this tint film is dark at 5% VLT and 20% VLT and might be illegal for use in automobiles. Applies easily. Doesn’t require additional adhesive. All you need to do is to wet the surface with soap and water and apply the tint film. You can remove the bubbles by using a PVC card (like an ID or credit card). The tint film will stick to any glass surface indefinitely. Removable and reusable. Because Black Magic doesn’t use any adhesive, you can easily remove, replace or reuse it. 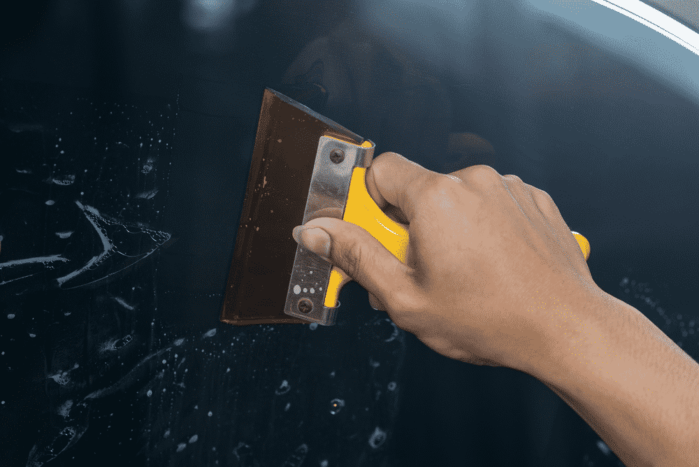 Tint that adheres to surface with adhesive is not only difficult to remove but leaves a mess that is difficult to clean, as well. Deflects heat and UV rays. Best tint films do not only limit the amount of light that goes in but also deflects most, if not all, of the UV rays that may cause fading or deterioration in most materials. Sticks to itself. The disadvantage of a static cling is that it allows the material to stick to itself. You need to be careful with the installation because once the material sticks to itself, it’s difficult to unravel. Sticks ONLY on smooth surfaces. The ability of the tint to stick is improved by further smoothening the surface with water and soap. However, if the surface is smooth, the film WILL NOT stick to it. Protint’s advantage over the Black Magic is that it’s available at a wider range of VLT from 5%-50%. Black magic is only available up to 20%. This makes Protint more versatile as you can install it to a lot of places including cars. Regulations for car tints very but mostly, 35% is the minimum VLT required. With the wide array of choices, Protint makes for a great tint film for car windows, as well. One interesting aspect of the Protint films is their ability to deflect 99% of the UVA and UVB rays. It’s good for cars and homes whose exposure to UV rays is above desirable. In addition, Protint has a high heat reduction. It has a 50% Total Solar Energy Rejection thus you’re assured that you receive less heat from windows installed with Protint where sun rays enter. Lastly, Protint is metal-free. 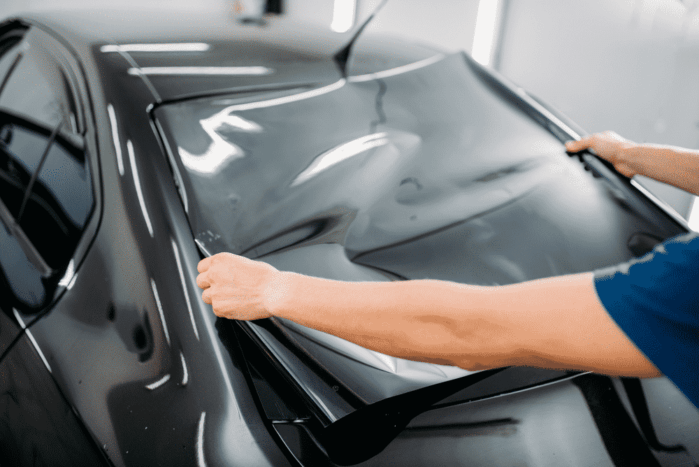 It’s important that a tint film has no metal in it to avoid interference with electronics in the vehicle or in the house such as navigation system and Bluetooth connectivity. All Protint films are guaranteed to be color stable. Expect that the color of your film will remain after years of prolonged exposure to sunlight. Compatible with vehicle. Automobile window tints are legally regulated at a minimum of 35% VLT. Most tint films are made for house use and have VLT less than 20%. Protint is highly compatible with automobiles as its VLT are from 5%-50%. With 99% anti-UV rate. In all VLT versions, Protint deflects nearly 100% of UVA and UVB rays which are harmful to health and degrade the colors of most materials inside the house and car. Great heat reduction. Has 50% Total Solar Energy Rejection (TSER). Heat is dispersed to the environment instead entering your house or car. Thin. Material can’t withstand heat and folds easily. Extra care is needed to maintain the quality of the film before installation. The selection of the budget pick is not based on the selling price but on the price per square inch. This way, all the tint films listed in this review are assessed equally based on their price. The cheapest, but with qualities that you would need from a tint film, in this review, and in the market is the BDF NA35. It has a VLT of 35% enough to block out sufficient amount of light and glare. It is also perfect for automobiles. Tints are mostly needed for blocking some of the light but not making a place that dark, rejecting heat and controlling UV rays. BDF NA35 is perfect for those needs. It’s mildly dark black finish is perfect for those who want to block some amount of light without the need for total privacy. What’s remarkable about the BDF NA35 is that it rejects most of the heat and allow 35% of the light. For houses with large glass windows and doors, BDF NA35 is perfect for keeping your house cool in summer while still keeping a decent amount of light. Although BDF NA35 is the cheapest of the tint films featured here, it is built with the intention of making it last. The BDF NA35 has strong adhesives designed to last for years. In addition, it comes with free tools and a guide to make installation easy. Keeps the most heat out without blocking too much light. Perfect for houses that need lighting from the outside and cars. At 35% VLT, you only get 35% of the light and blocks the rest out. Heat, however, is effectively rejected. Strong adhesives. The BDF NA35 is built to last for years that’s why it has strong adhesives that would last for years, as well. Thin and easily sustains damage. The BDF NA35 easily gets wrinkled. You need to be careful in handling the tint. Poor handling during shipment (this can happen) and before installation can render this film unusable. Product not dark enough. Although 35% VLT has a lot of applications, still, others prefer darker tint films. Because of this, this film has limited applications, as well. Air bubbles form after hours of installation. Users report bubbles forming hours after the film is installed. Because of the strong adhesives, removing the film damages it and renders it unusable afterward. If you can spare some cash for features that are not that necessary and for quality improvements that are more than needed, then our upgrade pick, the Gila Xtreme limo Black tint film is perfect for you. At 2.5% VLT, the Gila Extreme Limo Black is the darkest of the tint films featured in this article blocking 97.5% of light. If allowed by your laws, this film is perfect for reducing glare in your car because of its low VLT. The extra bucks if for added privacy as observers outside would find it relatively difficult to see anything inside. The Gila Xtreme Limo Black is also among the most durable tint films as reports claim that it can last for years. Like the rest of the tint films featured here, the Gila Xtreme has also an excellent heat rejection capacity—probably the best in this list because of its very low VLT. Excellent glare control. When it comes to glare, the Gila Xtreme is an expert as it is probably the master at its lowest 2.5% VLT. With a reduced glare, you are sure to see better on a hot sunny day while driving. Great heat rejection. Gila Xtreme is perfect for areas in your house facing the sun. Installing it in your windows and doors helps cool down the house during summer. Easy installation. Gila Xtreme comes with an application kit and its adhesive film is easy to handle. You can install it without the need of a professional. Very dark. If you install this to your car, you’d find it difficult to see during the night as its light-blocking ability is very high. Cannot be reused. Once you fail during the installation process, you can’t remove and reinstall it as removing it damages the film. Not as thick as other Gila films. If you are familiar with and have used Gila tint films before, you’d probably notice the difference in the thickness of the film. 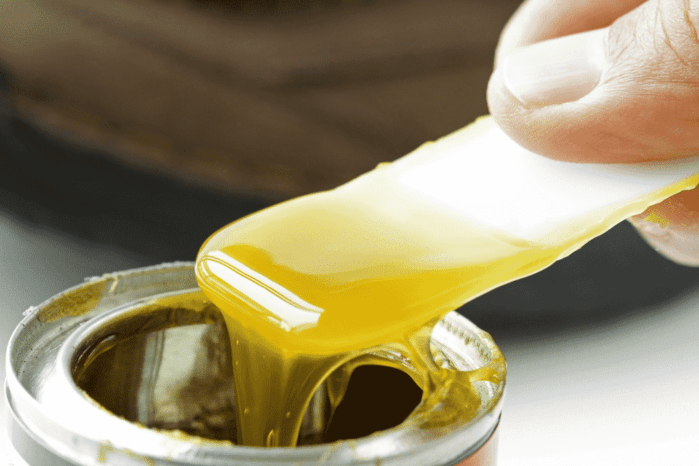 All of the tint films listed in this article can be used on homes and/or cars but the best to use for an automobile is the Diablo tint film. Cars are constantly exposed to extreme conditions: wind with dust, weather changes and extreme heat from the sun, among others. Tint films for automobiles serve to purpose—to block heat and light and to protect the windows and windshield. Diablo is the best tint film for automobiles because it is the most durable. Thus, it is capable of lasting long despite its exposure to harsh conditions. Unlike other tint films (fortunately, none in this list is like that), Diablo does not contain any dye. Dyes fade when exposed to sunlight for long. Diablo will retain its tint for years. When makes Diablo more suitable for cars is that the tint film has been tested to lots of fine window molds to improve its precision. It doesn’t contain any metal, as well, thus expect that it won’t interfere with electronics inside your car. Durable enough for car windows and windshields. It has a 2-ply design that greatly improves its durability and its ability to absorb energy. It is also made of polyester film layers that give it high tensile strength. Rejects heat. It can repel up to 50% of thermal energy from the light that passes through it. Self-adhesive. Contains a strong pre-pasted adhesive that makes installation easy. Doesn’t contain metal. It won’t interfere with your electronics as well as your phones and radio equipment (including Bluetooth speakers and connectivity). Blocks 99% of UV rays. Both UVA and UVB enters your car through your windows—this can fade the color of your upholstery. UVA and UVB rays are also dangerous to health—it can cause skin cancer or blindness. Diablo blocks up to 99% of the UV rays thus you are protected from its harmful effects. Non-reusable. Although Diablo claims easy installation, for those who are doing it the first time, there will always be a chance of failure. Installing it incorrectly is almost always final. Removing it damages the film and renders it almost unusable (that is, if you are picky with how smooth your film should be—and most probably, you are). VLT is not high enough. The ideal VLT for cars is 35% as it is illegal for some countries to install tints lower than that. In selecting the best window tint film, the first thing that you must consider is the place where you plan on using it. Is it in your car? Is it in your house or room? The reason is, if you’re using it in your house or room, you don’t have to consider any legal limitations to the specs of your tint film. You can choose the darkest with the lowest VLT or choose somewhere in between the ranges available. For cars, however, the case is different. Depending on your location, car tints are regulated to certain values for VLT. The most common is that VLT should be at least 35% for security purposes. If there is a prescription on VLT, you are constrained. Furthermore, tint film for cars needs to be more durable than those you intend to use in your house. This is because cars are mobile—that is, they expose the tint films more to harsh conditions as dust, wind, rain and extreme temperatures. Tint films are available in various VLT values. Visible Light Transmission simply refers to the amount of light the film allows to enter. A VLT of 5%, for instance, means that the film rejects 95% of light and only allows 5% to pass through. A rule of thumb is that the lower the VLT rating of a film, the darker it looks like. Higher VLT values are usually designed for reducing glare as in automobiles while deflecting most of the heat and UV rays from outside. Darker tint films, or those with less than 5% VLT, are used for reducing a significant amount of light—usually for privacy reasons or purposes. Tint films do not only control the amount of light that passes through it. It’s also used to deflect some of the heat from the light. Sunlight has thermal energy. The insides of a car or a house can easily get warm after hours of sunlight exposure. In tropical areas or in summer, this could be pretty uncomfortable. In selecting a tint film, choose one with the appropriate Heat Rejection Rating for your needs. The rating is straightforward—An HRR of 50%, for instance, means that half of the heat the light carries bounces back to the environment upon hitting the film. This could make the insides of your house or car cool. Another feature to look for in a tint film is its ability to deflect UVA and UVB rays. These rays of the sun may have benefits but they can also harm human health. For instance, prolonged exposure to UV rays can damage the eyes and the skin that could lead to more serious illnesses. In selecting a tint film, always opt for those with nearly 100% anti-UV properties. Do not settle for less. There are two ways your tint film sticks to your windows—either through an adhesive (tint films are usually self-adhesive) or through static cling. Of the two, the adhesive is more reliable while the static cling is unpredictable. Most tint films are thin and easily gets crumpled or folded. Self-adhesive tints can also stick to itself making it difficult to fix it. Self-adhesive tints need to be installed carefully since they cannot be removed and reinstalled afterward. Either you break the film or you weaken the adhesive. Either way, the film gets unfit to install. Adhesive-free films are reusable. You can remove them with ease and replace or transfer them. The drawback is that they are tricky to install. If you get it wrong, it might peel off any time after installation. Some films have metallic ingredients in them. This could interfere with electronic equipment and connectivity and is not advisable for cars. Some cars have built-in navigation technology. A tint film with metallic ingredients can interfere with it. Some films have dyes to give them color. These types of films are more likely to fade. Dyes are sensitive to ultraviolet rays. Although tint films can reject UV rays, they are not immune to its effects. Last consideration is thickness. If you are using the tint film to a car, you might want something thick. Thickness is almost always correlated with durability. Thicker films can withstand heat and damage from dust, snow or rain more. What other films lack in thickness, they make up with a number of plies. Some tint films are 2-ply. This type is surprisingly more durable than thick single-ply versions. If you are using ting film in the windows and/or doors of your house, thickness might not matter that much. After all, you most probably are installing the tint film to block out sun rays and heat. The balance among its price, features, size, and quality makes Black Magic the best in this list, hence our Editor’s Pick. Although not an attractive feature, adhesive-free tint films have more advantage than a disadvantage. For one, it’s easy to install. Its durability is unmatched, is available at a reasonable price and has added features as heat rejection and anti-UV properties, as well. Next best is the Protint that nearly equals our editor’s pick. If you are tight on the budget, then BDF NA35 is perfect for you. It has the features that you’d typically expect of a tint film but is available at a reasonably cheap price per square inch. In the end, the best window tint film is that which serves the purpose you expect of it, is available at the least possible price and lasts you the longest possible. If you like our review of the best window tint film, or if you have a question or suggestion, please feel free to leave a comment below.